Cheers to all of the competitors who managed to survive a great weekend's racing, especially those who traveled from well outside the region. Conditions on Saturday were awesome. 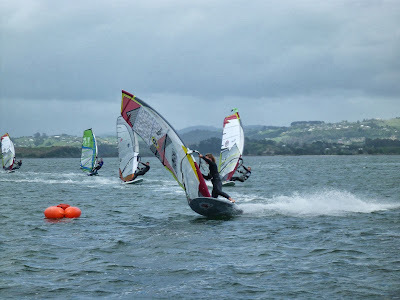 Gusting up to 40knots over the short figure 8 course provided some spectacular racing,........and smashed 'ems! Completing races was the aim, but missing marks and getting 'flattened' appeared to be a tough consequence of trying to keep the power on in the wild chop. Sunday eased enough to give everyone a good number of races. 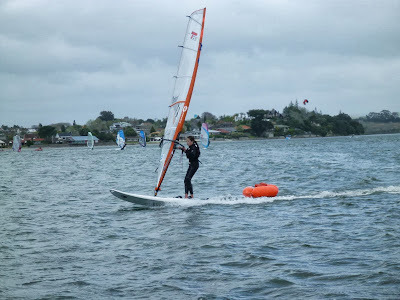 The day was finished with an 'all in' run to Rangiwaea. Congratulations to Laurence and Chris for winning their respective divisions. And a special congratulations to Coral, the 1st recipient of the Barry Anderson Memorial Trophy. 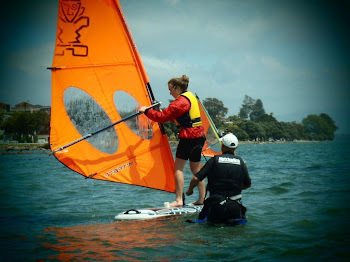 Coral was the highest finishing local sailor across both Gold and Silver divisions. 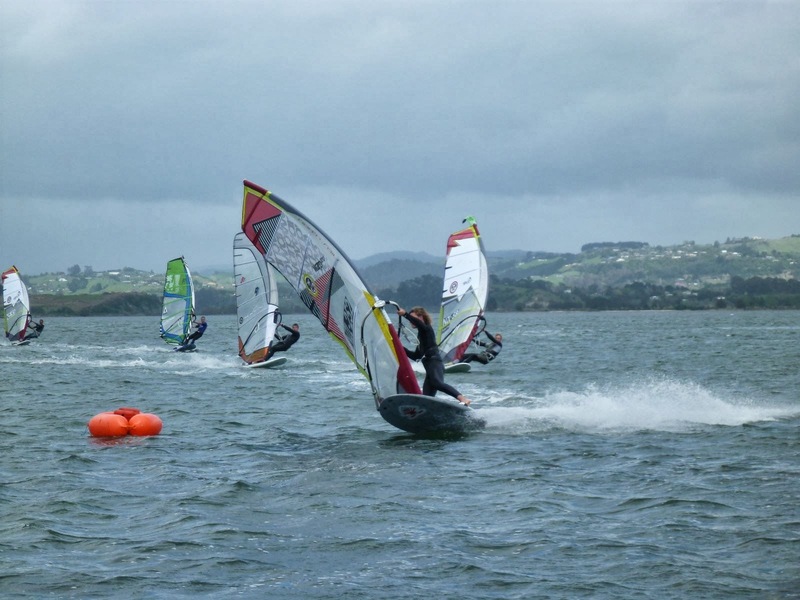 An outstanding effort in navigating a course through many older, and highly competitive windsurfers. 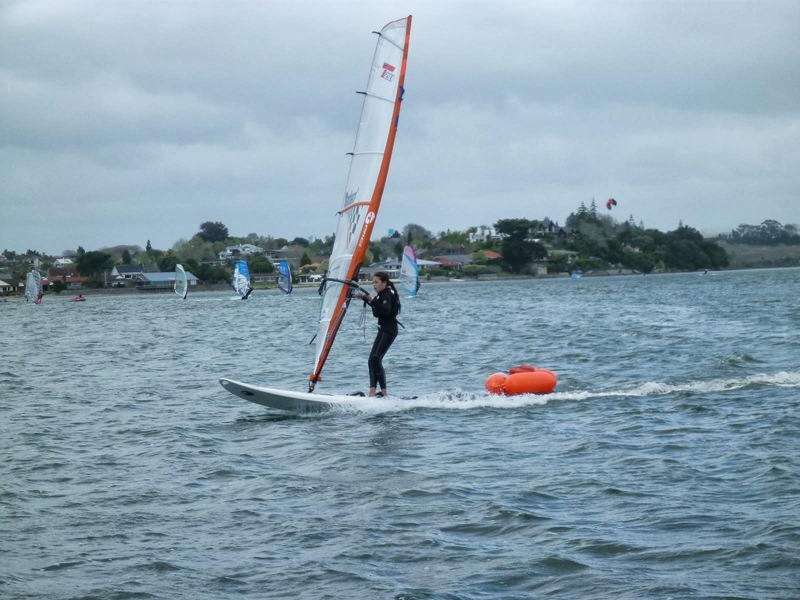 Peter and Jules @ http://elementswatersports.co.nz/ for running another excellent weekend's racing, tailored for sailors of all ability. Also; special thanks to Marilyn and Tim, for the race admin assistance and tech support. Brent Devcich for the wicked event vid. And Candace, for her hot caffeine and lovely eats. 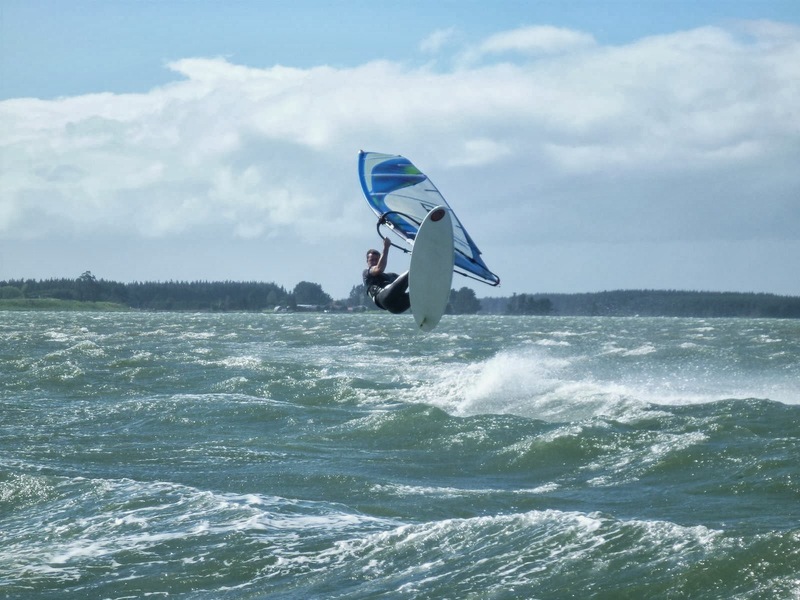 Look forward to contributing more of the same to the NZ Windsurfing calendar soon.